The NATO Military Committee is the body that advises the alliance on military policy and strategy. 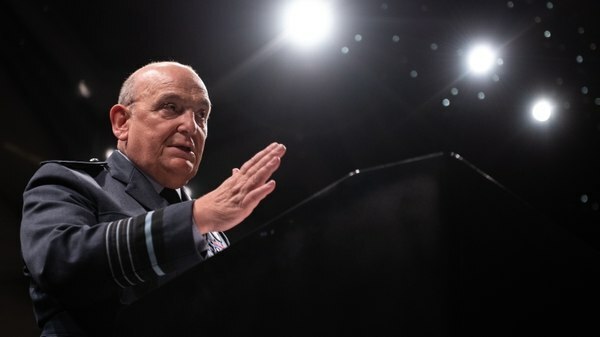 Since June 2018, Air Chief Marshal Stuart Peach has led that committee, advancing the NATO mantra of collective defense while balancing distinct threats of a more capable Russia, a more belligerent Iran and omnipresent terrorist activities. That’s a story in the media, that’s a speculation. I’m not here to comment on media speculation.